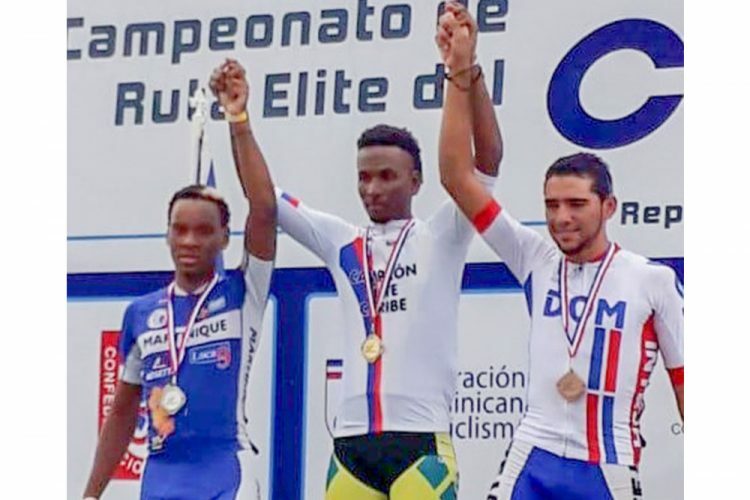 ST VINCENT AND THE Grenadines’ top cyclist Zefal Bailey, stood highest on the podium in the Under-23 category of the Caribbean Cycling Championships held in the Dominican Republic. Bailey placed 10th overall, but was the first to cross the end line in the 108 Km event on Sunday. Martinique’s Edwin Nubul claimed second place in the Under-23 segment, with the Dominican Republic’s Junior Antonio Aguilera Marte, third. Another Vincentian, the ever improving Samuel Lyttle, was also part of last Sunday’s race. Lyttle was reported to have stayed with the pack for the first three laps, but he suffered cramps on the fourth lap, hence did not finish. Prior to Sunday’s 108 Km race, a time trial took place on Saturday.